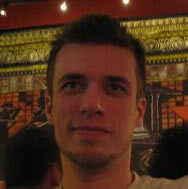 Sean Christmann has been an application developer since 2001. He is currently an independent contractor based out of Denver, CO. He has worked on several commercial and enterprise GUI applications during his career and has lead projects based in HTML, Flash, AIR, Unity3D, WPF, Mac, iOS, and Android. Sean also releases Mac and iPhone apps through 10 Million Apps, and works on open source projects through GitHub. You can usually find him floating around several developer mailing lists and forums, or speaking at technology conferences through the year. You can contact Sean by emailing sean [AT] craftymind · com or follow @seanalltogether on twitter.